the risk of privilege abuse. in security, governance and compliance best practices. and visualization of risk in key areas. Gain a bird-eye view of your security posture with automated monitoring, scoring, rating and visualization of risk in key areas. Drill down into high-risk areas to pinpoint the weakest security controls in your environment. 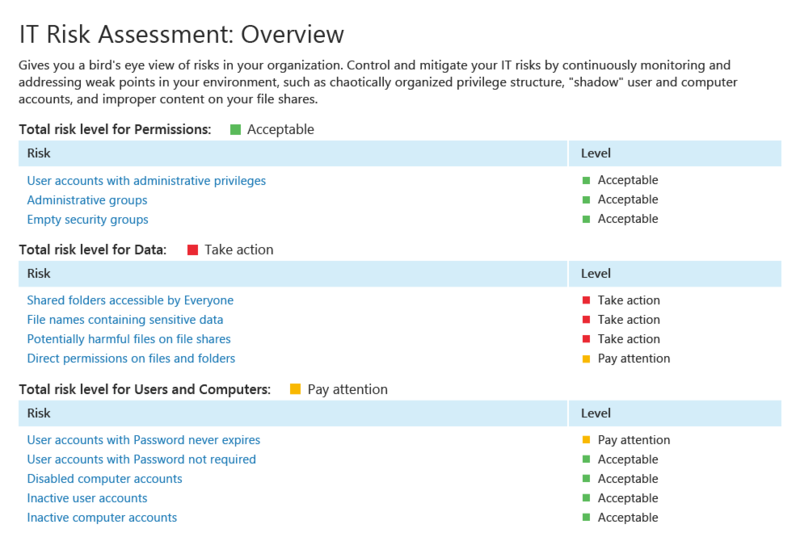 Adjust your policy settings, configurations or permissions as necessary to reduce identified risks. Evaluate whether your security posture has improved, and repeat the risk assessment and mitigation process continuously. insiders who have gone rogue. a given user and the associated risk score. can determine how to respond. 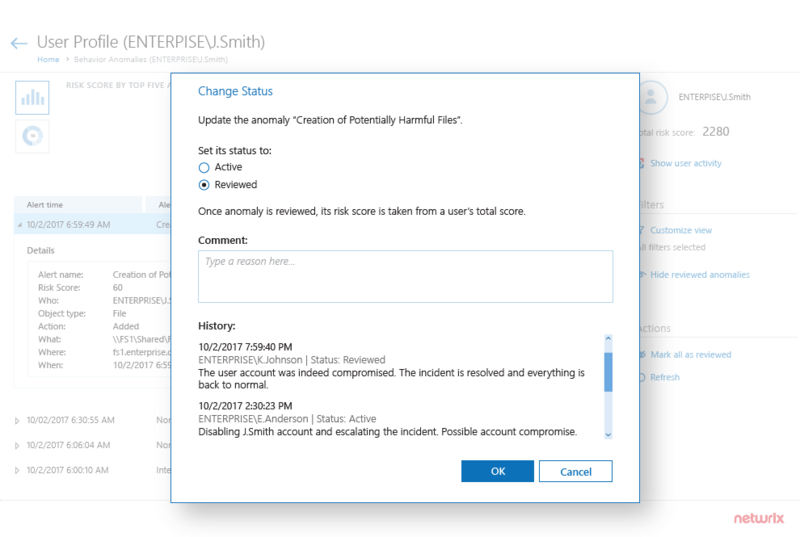 Detect and prioritize incidents better with a single view of all anomalous actions by a given user and the associated risk score. Dive into the context of any anomalous user action to understand it fully, so you can determine how to respond. Mark an anomaly as reviewed to move it out of your focus and reduce the total risk associated with the user. reach of both human and automated attacks. Analyze effective permissions for important resources to spot unnecessary access rights. Remove them to mitigate the risk of privilege abuse and limit the damage that malware can inflict. Regularly review who has access to your critical servers by checking on local users and groups. If you detect any deviations from your security policy or a known good baseline, quickly restrict access to minimize your attack surface. IT environment using free, ready-to-use add-ons. 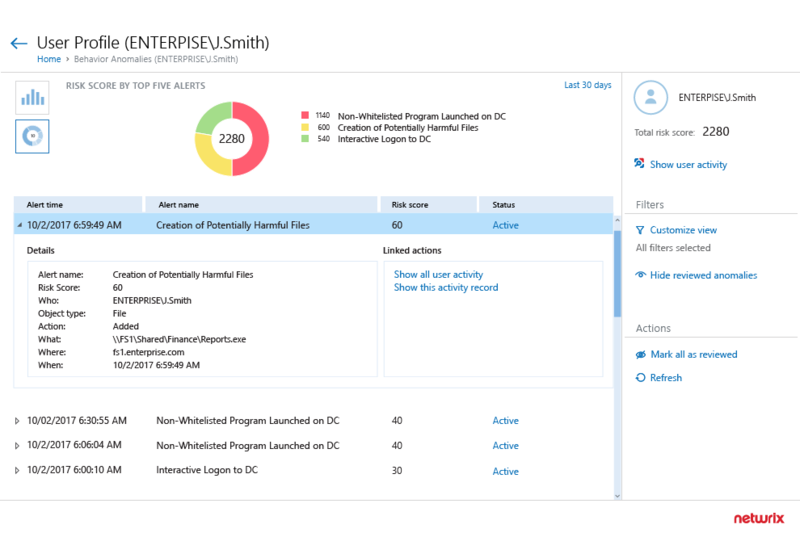 Provide initial incident support and enable faster and more accurate incident investigation with detailed tickets created automatically from Netwrix Auditor alerts. Promptly identify and respond to improper behavior in your *nix-like systems by gaining full control over privilege elevations via the SUDO command and OpenSSH sessions. Spot, investigate and block threats to your Linux environment with a single-pane view of what’s happening there. Stay alert to multiple authentication failures, failed attempts to run the SU command and other threat indicators. and detect malicious insiders and compromised accounts. 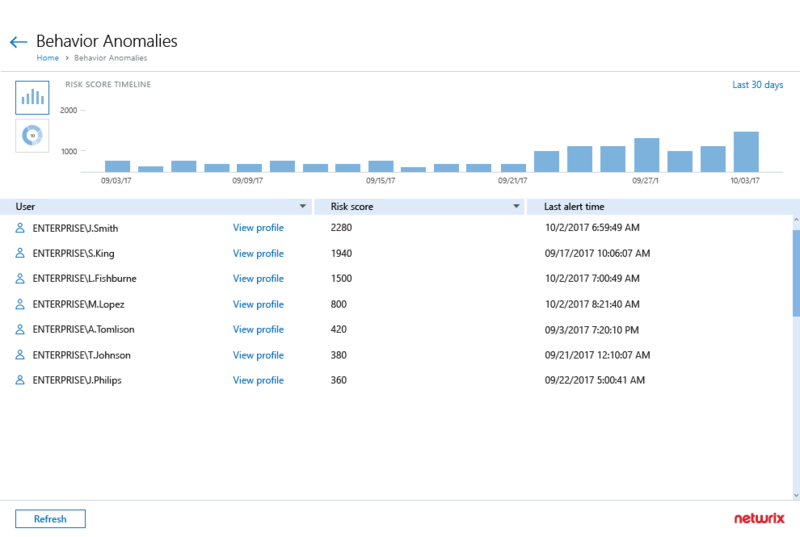 Meet Netwrix Auditor 9.5! 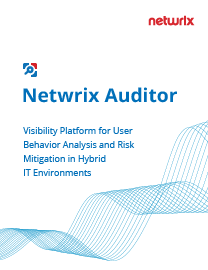 The latest version of this visibility platform for user behavior analysis and risk mitigation provides even more features that empower you to identify, assess and reduce risks to your IT infrastructure and data.